Please use the measurement diagram to help provide the best measurements possible when completing this section. 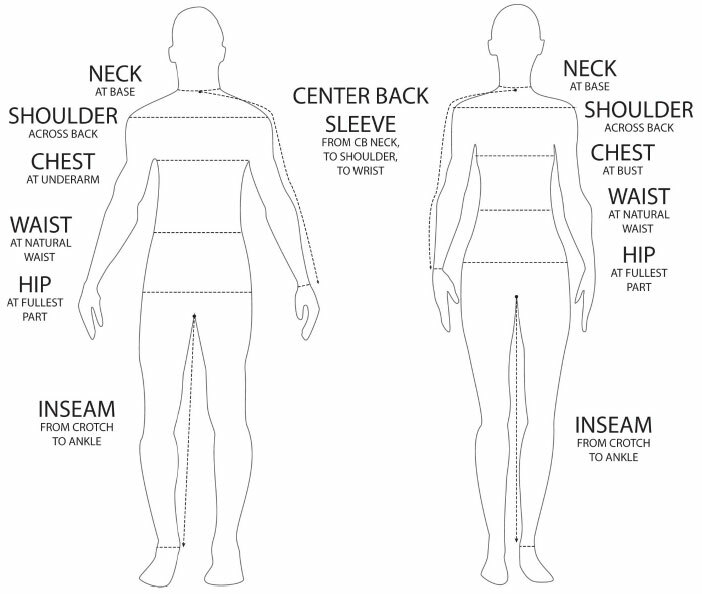 It is also helpful if you, wear as little clothing as possible as we want measurements of the body. Use a flexible measuring tape rather than a stiff one. Stand up tall, relax and breathe naturally.